Made for 4 Extra. 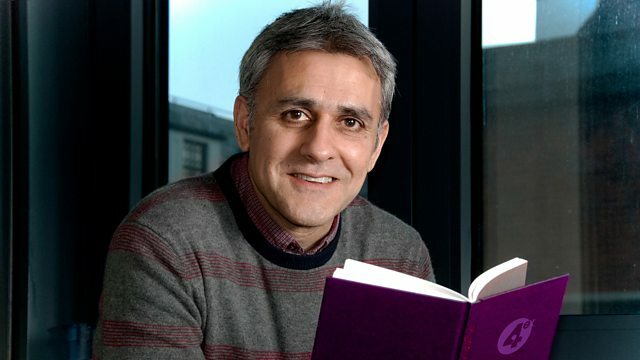 Daljit Nagra selects Dorset Rewritten featuring the dialect poetry of William Barnes, friend of local Thomas Hardy. From November 2014. Poet Daljit Nagra revisits the BBC's radio poetry archive and selects Dorset Rewritten featuring the dialect poetry of William Barnes. Before Thomas Hardy, there was another Dorset poet called William Barnes. Scrape a finger across Hardy's Dorset and you'll find Barnes' underneath. He was Hardy's friend, forebear and inspiration. William Barnes was fascinated by language and the dialect used by the people around him. But today he's been all but forgotten. Barnes inspired Hardy, Larkin, and Hopkins yet Britain has never taken him to its heart. Barnes was fascinated by language, obsessed even. He was a polymath. He believed in Pure English and wanted to distill words to their Anglo -Saxon origins; 'photograph' for instance, becomes, 'sun-print'. Curious then that while his poetry is thick with dialect, Barnes spent most of his life teaching English in its conventional form, as a curate and a school master. A former Poet Laureate, a young teacher from Barnes' Blackmore Vale, and a dialect poet from the Black Country reflect on the curious verse of 'the other' Dorset poet.